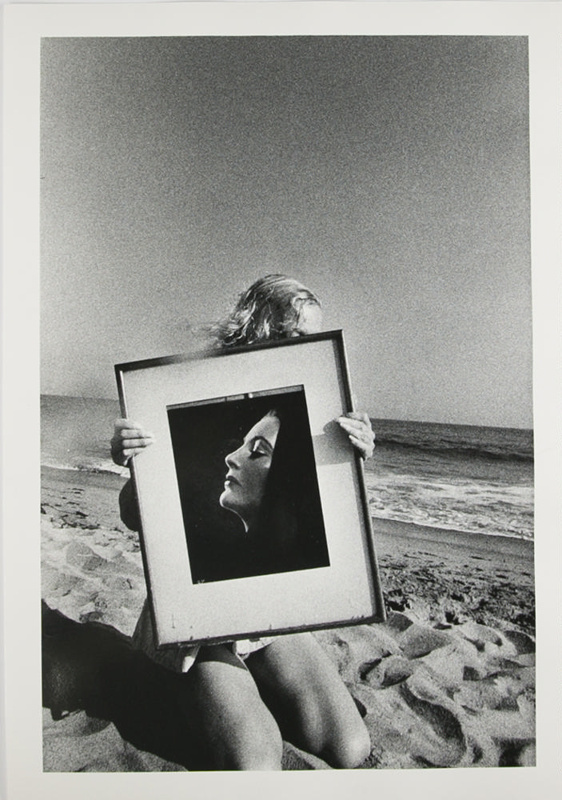 About this objectWoman kneeling on a beach holding a large framed photograph of a woman’s face. Image is included in Gibson’s book Deja Vu. Subject and Association DescriptionRalph Gibson is a California-based photographer whose work focuses on black and white images of objects, bodies, and gestures has been widely exhibited and collected as well as published in monographs.